Peninsula for both a big beach and big mountains style holiday experience. Lots of lively action and activities both on and off the Park, with direct access to the massive Black Rock Sands makes this award-winning Park the place to visit! Fill each day in just your own way - a character breakfast is the perfect start to an action-packed morning spent with a round on the Adventure Golf Course. 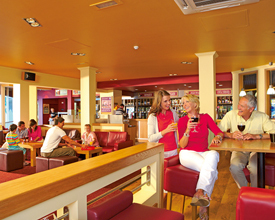 Lunch out in the Mash and Barrel: Lounge-Bar-Cafe, or why not have a picnic on the beach before spending the afternoon having a �splashing' time in the outdoor SplashZone, a long stroll around the beautiful town of Portmeirion, or a whiz round the Park on the karts. Save some energy for an evening in the ShowBar - perfect for a drink, live music and dancing to finish off. 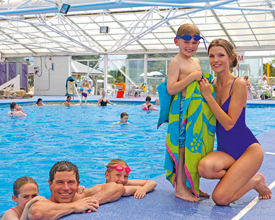 Greenacres Holiday Park offers the following facilities. 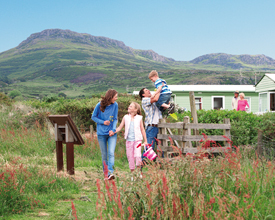 Greenacres in North Wales close to Black Rock Sands and under the shadow of the glorious scenery of Snowdonia with waterfalls, castles and Wales' most famous mountain railway is in a truly spectacular location. 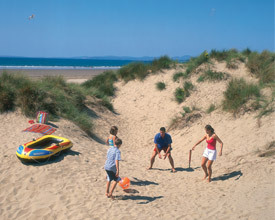 North Wales is not just a place to visit - it's a place to explore, discover and re-visit time and time again. Porthmadog near to the park, in the past it was a vital, busy shipping port for the international slate trade, brought down from Blaenau Ffestiniog. To the North and East of Porthmadog is the wide expanse of the Glaslyn estuary, renowned as a haven for migrating birds and wildlife, extends dramatically towards the Snowdon range. Why not visit Portmeirion the beautiful village, set of the cult 60's TV series, The Prisoner. Greenacres attracts lovers of coast and countryside, long stretches of sandy beaches, craggy mountains, towering headlands and deep valleys. 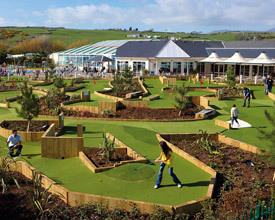 Have you been to Greenacres Holiday Park ? Please submit your review so that others can benefit from your experience. Important note: Information provided here about Greenacres Holiday Park is based on our best knowledge. However, please check with Greenacres Holiday Park before booking to ensure that you have the information required. 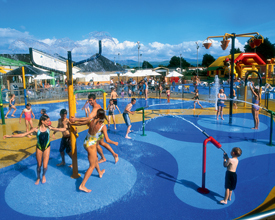 Reviews are the sole views of the contributor and do not necessarily represent the views of CampsitesandCaravanParks.com or Greenacres Holiday Park .